The practice provides a disabled ramp and access to the waiting room and further comfortable access into the consulting rooms. There is a toilet for disabled and wheelchair users. Should any disabled person require further assistance please ask at reception. It's cold and Flu season, and the simple fact is, both can make you miserable. But it can be difficult to tell the two apart. Both colds and the flu “are respiratory illnesses, but they are caused by different viruses,” according to the Centers for Disease Control and Prevention. Antibiotics usually don’t help with either cold or flu symptoms - but can help with subsequent bacterial infections that may develop. A dry, hacking cough can be a symptom of the flu, generally not a cold. Nausea and vomiting most frequently occur in children who have contracted the flu virus. A runny, stuffy nose, sneezing, and a sore throat is indicative of a cold. If you think you have the flu, get a flu test early. If you are tested within 24 to 48 hours and it turns out to be the flu, your doctor can prescribe you medicine that can help shorten the length of your illness. A fever can indicate either a cold or the flu, body temperatures are usually higher with the flu. Stay away from people who are sick. It’s impossible to stay away from people completely, but if you can, avoid touching them or getting too close. Wash your hands. Especially during the winter months. You’ll also want to clean and disinfect surfaces and objects at home when someone is ill.
Avoid touching your eyes, nose or mouth. Viruses can be spread by touching objects that have been previously touched by someone who is carrying a virus. For example, when you touch a doorknob, coffee pot, or a phone, try not to touch your eyes, nose or mouth after, because this is how the virus can enter your body. Askern Medical Practice are proud to announce, That WE are now proud members of the GP'S for Veterans Health Network. Please contact the surgery for further information. The practice have been forefront for many years in supporting students from perhaps disadvantaged backgrounds who are aspiring to study medicine. We altruistically offer time, effort and coaching for the students to help them obtain a place to study medicine. The practce has got a high success rate. The intention is to bring back Doctors to work in their own areas particularly this part of South Yorkshire which is very deprived and a hard to recruit area. In November 2016, I was lucky enough to be invited to a work placement at all three of Professor Kumar’s Surgeries. During the period I was on placement I got to observe how a vast team worked together in a tight knit community and had the opportunity to spend time with every member of this essential team that provided a wonderful service to this local community of Askern Mexborough and Conisbrough. My time at the surgery allowed me to observe how all of the healthcare professionals worked closely to the benefit of the community providing the best healthcare possible. I feel this was of great use to me as I am personally following a career path in to pharmacy role. I am currently in my last year of A-Levels, progressing in to university in the not too distant future. This was not only a educational placement but also offered me the opportunity to witness first-hand how best to deal with patient interaction, gain individual skills thus being something I can adapt and implement as I endeavour on my pharmacy career. While providing excellent care to the community, Mr Kumar also relieves the NHS waiting lists by offering the facility to preform minor operations at some of his practices, another great experience I got to observe. My time throughout the placement was thoroughly eye opening and the knowledge gained invaluable from the short period of time spent. It has also lead me to have a vast amount of respect for the work that goes into planning and providing the best care possible which is essential to the wider community. I would also like to make a special mention to all the staff members, Such as the reception staff and the nurse’s that work tirelessly behind the scenes to allow for such a smooth operation to be carried out, as this would not be possible without their efforts, which also alongside the great work of professor Kumar allow for excellent care to be provided. This work placement inspired me to follow a career path in to the medical route amongst the community. 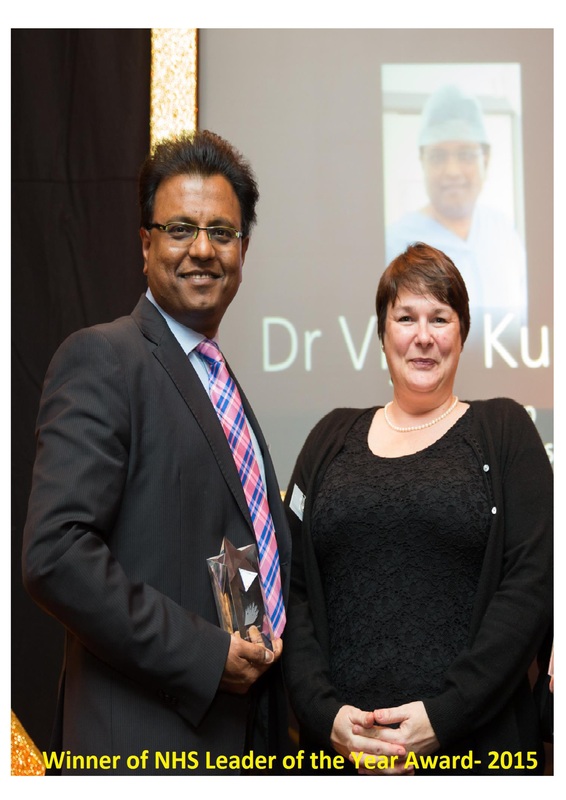 I hope that in the near future, as the pharmacy role is ever evolving, I am able to work side by side with professor Kumar again, Not only as a student but as a working healthcare professional, allowing for the continuation of his great work and dedication. What joy it brings me to post about my two-week observership at the Mexborough and Askern Medical Practices, during my time in the UK! Having come from India, the opportunity to observe at the Medical Practices was a fantastic eye-opener to how Primary Care in the UK works. I was thrilled to be able to sit in with the GPs and Nurse Practitioners during their consultations and get a glimpse of the types of cases that are dealt with in Primary care as well as the follow up care for the patients. I particularly enjoyed feeling comfortable enough to ask questions, both medically related and generic ones, to the medical personnel in between consultations. The exciting hands on experience in the reception really helped me appreciate the administrative roles of staff; I got to assist with making QOF recalls, doing some coding and scanning and even helping to manage repeat prescriptions! Being present in a clinical meeting was another surreal experience that helped me understand how various issues were raised and dealt with by the team, both medical and administrative, at the practice. – The snacks provided were much enjoyed, too! It was such a privilege to not only be observing here but also included as one of the amazing team, in the short time that I was there. I was delighted to talk about my experiences gained here, in my medical school interview and am very excited to be off to Liverpool to study medicine, in September! A huge and hearty thanks to all my lovely friends at Mexborough and Askern Medical Practices for helping me get one step closer to my dream!